We previously wrote a post about the new ownCloud VM with PHP 7 that we released. Back then we had some issues with getting Redis Cache to work, and because we where eager to release the new VM we figured that we would release Redis Cache in the next version. That was 3 days ago. 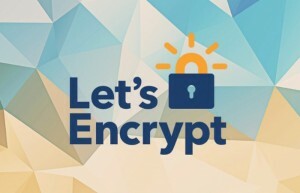 This version is updated with both Redis Cache and Let’s Encrypt SSL. Compared to PHP 5.6 it’s ridiculous how fast it is. No more wait time, the feel is very snappy now when Redis Cache works on top of PHP 7. So we managed to get Redis Cache Server 3.0.5 + PHP Module 2.2.5 working together with PHP 7, and while we where at it, We also built a script that will install SSL from Let’s Encrypt. The script is still in alpha, and we haven’t had the chance to test it properly because we don’t have a domain that we could connect it to. We added some failsafe so that if it doesn’t work out, it will revert the settings back to normal. But the best scenario would be if it worked straight out of the box. That’s why we would really appreciate if you could give us feedback if it works or not when you try to run it live, and it would be nice if you could help us improve the scripts. We published them on GitHub so that you can contribute and make it awesome. How cool would it be if everyone could get a real SSL cert + ownCloud with PHP 7 and Redis pre-installed altogether? That would be super awesome! Other than that we made no other changes. Unfortunately the VM increased a bit in size because we had to install php7.0-dev + some other packages to make Redis work, and it costed around 300 MB all together which made the packed size quite large. But on the positive side the VM is now packed with the best of the best. Last but not least Webmin is installed in the setup script just as usual, and is a great tool if you aren’t so familiar with the command prompt. Webmin gives you a graphical interface, and is really easy to handle. Grab the latest VM today, give it a spin, and feel the speed. Install Redis on PHP 7. Wget this script and run it with bash. Check out the Redis performance tips. Easier administration of your SSH keys in Linux, check it out!